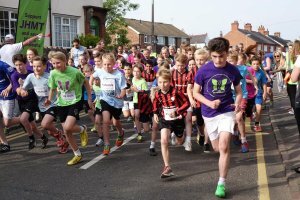 Joe's Jog, now in its third year, will take place before the Mattioli Woods Rothley 10k running event, which takes place in the Leicestershire village on Tuesday 14 June. 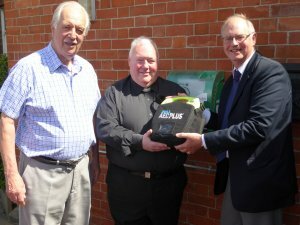 The congregation at the church, in Cross Street, was assisted by local charity the Joe Humphries Memorial Trust (JHMT) in getting the defibrillator in place. 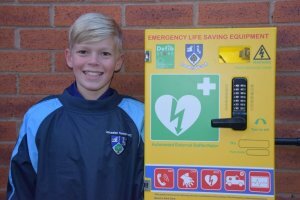 Education bosses are encouraging all schools to have a defibrillator on site in case of emergencies. 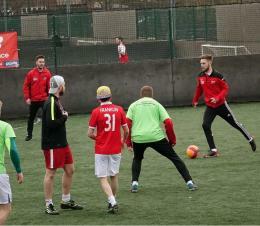 It follows the tragic death of trainee teacher, Ian Babington, at Roundhill Academy, last month. 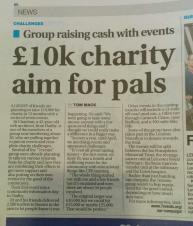 A group of friends are planning to raise £10,000 for charity in 12 months with a series of seven events. 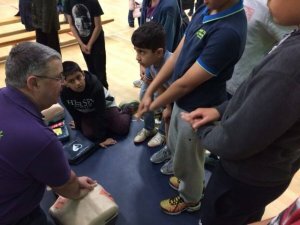 It's child's play when it comes down to getting hands - on, as demonstrated at the Family Health & Well Being Festival in Evington, Leicester and under the expert guidance of JHMT's Community Liaison Officer and trainer Alan Harrison White. 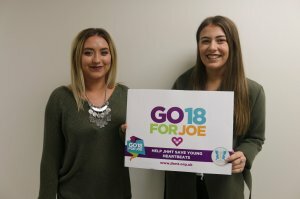 Eliza Hart, 17, from Leicester city centre, and 20-year-old Elliott Powell, from Knighton, have gained the awards from local charity the Joe Humphries Memorial Trust (JHMT). 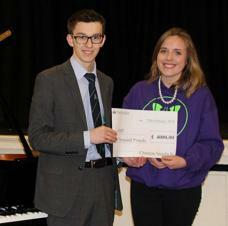 Christian Smaditch, a Dixie Grammar School student from Leicester Forest East, was presented with the prestigious Whitbread Memorial Prize at the House of Lords. 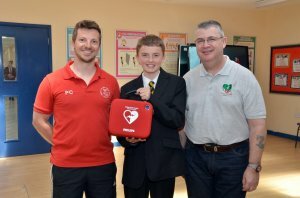 Thanks to the efforts of local councillors and the community, a public access defibrillator was recently fitted to the outside of Thurnby Lodge Youth and Community Centre, Leicester for local people to use if called upon in case of an emergency. 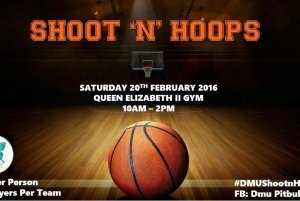 On Saturday (Feb 20), De Montfort University's women's team will be hosting their very first basketball tournament, inviting DMU students, staff and sports societies to take part in a fun and friendly competition to win a number of spot prizes. 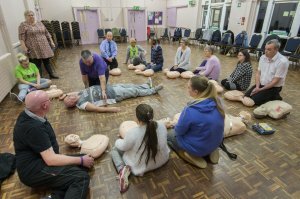 A heart defibrillator has been fitted to the outside of Thurnby Lodge Youth and Community Centre, for local people to use. 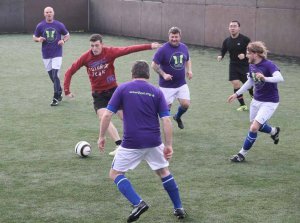 The De Montfort University women's and men's football teams are holding their annual event at Goals football centre – and this year, it will be in aid of the Joe Humphries Memorial Trust (JHMT). 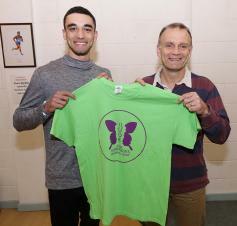 A YOUNG carer who is determined to give something back to his community has been given an award to help him achieve his ambitions. 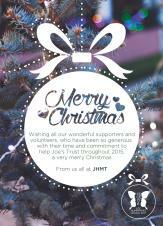 Have a great Christmas and thanks for all your support and work for Joe's Trust. 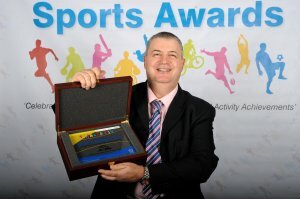 It's very much appreciated. 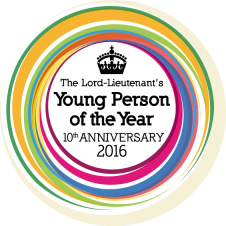 LLYPAwards 2016 Nominations Now Open! 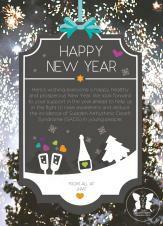 Now is the time! 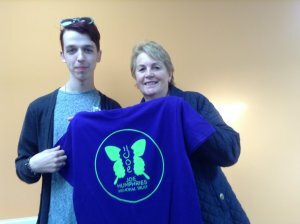 to nominate a deserving young person for Leicestershire Lord Lieutenant's Young People Awards 2016 (10th Anniversary). 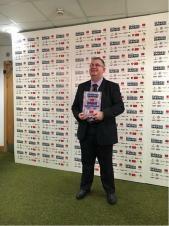 Alan Harrison White, a retired cardiac specialist nurse who gives his time for the Joe Humphries Memorial Trust (JHMT) and the British Heart Foundation, was presented with the Community Award at a ceremony last week.